Volant Cold Air Intake Late 2004-2006 Toyota Sequoia Toyota Tundra 4.75Gregory PhillipsOctober 14, 2010I was pleasantly surprised by the performance after installing this unit on my truck. The installation instructions are vague but a mechanically inclined person can reason it out. All in all I'm glad that I got this unit. I had installed larger tires with higher rolling resistance and adding this unit brought my mpg's back up to where they were with the stock wheels and tires. Throttle response is improved across the rpm range. If you're looking for an aftermarket cai then consider this one. 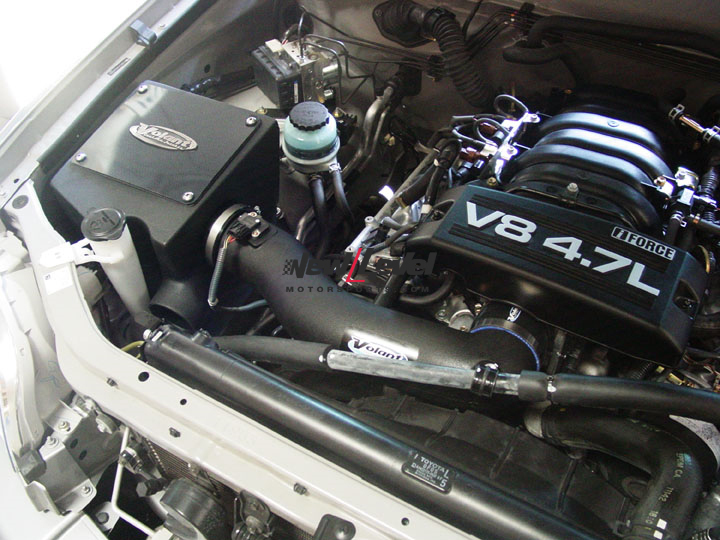 The part number for this Volant Intake is 18047 and it fits 2005-2006 Toyota Sequoia Toyota Tundra 4.7 models. 2004 Models made before September 2004 will require the 18847 part number and this part number will not work. If you are not sure which unit your vehicle requires, please view the installed photo above and look at the mass air flow sensor to see if it matches your vehicle.